What’s one big reason behind Minnesota’s impressive late-season surge? 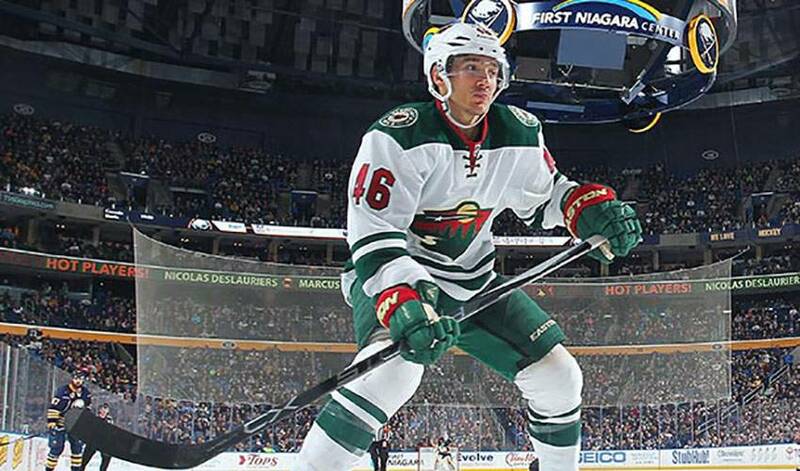 Ask defenceman Jared Spurgeon and he’ll tell you it’s all about strength in numbers. A brutal January and February put Minnesota’s post-season aspirations on ice. Ten wins in March, however, helped put that goal back on track. While a spot in the Western Conference playoffs hasn’t been sewn up yet, Minnesota has been one of the league’s hottest teams down the stretch. Before a home loss to Ottawa on March 31, the Wild had won six straight games, enough to put themselves in a good position to clinch a shot at Stanley Cup glory. Confidence, not surprisingly, is at an all-time high. It’s the kind of thing that happens when you record a five-game season sweep of defending Cup champion Chicago, the team that’s eliminated Minnesota from the playoffs the past three years. It also makes your opponents wary of facing off against you. The Edmonton native knows what he and the rest of the Wild defence need to bring to the ice every night in order to keep that reputation intact. Away from the pressures of a playoff pursuit, it’s child’s play, literally, for the father of the two. Which makes life on and off the ice a win-win situation for Minnesota’s No. 46.